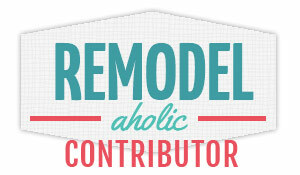 So, of course I decided to do it DIY style and guess what?! 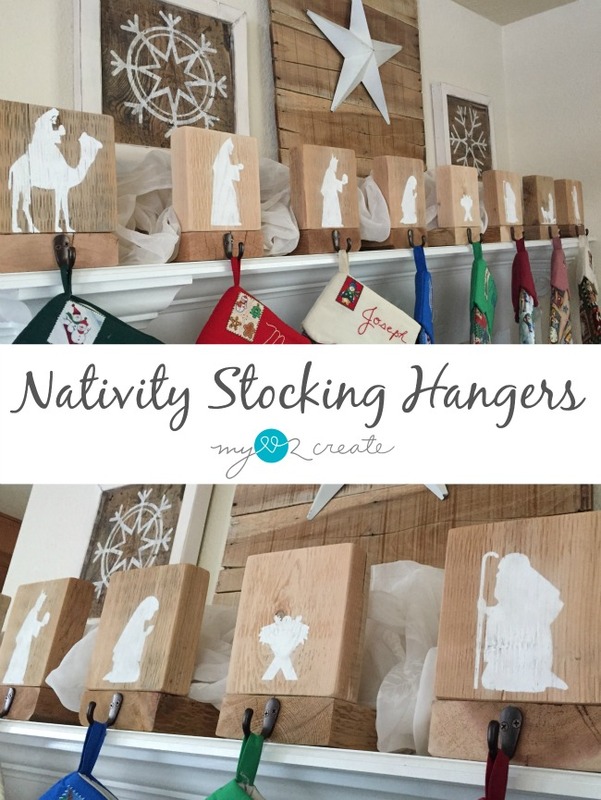 My husband was a big inspiration behind these fun Nativity Stocking Hangers! Yay! 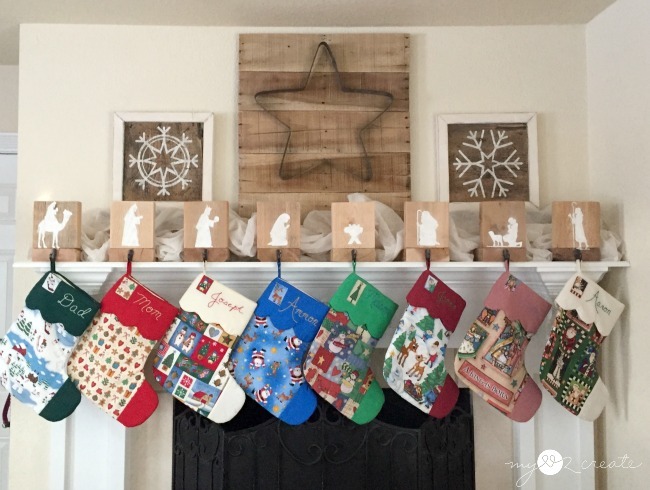 I was inspired by Shanty2Chic's Photo Stocking hangers, which are super adorable. I planned to do them a little different, and this is where my husband comes in. 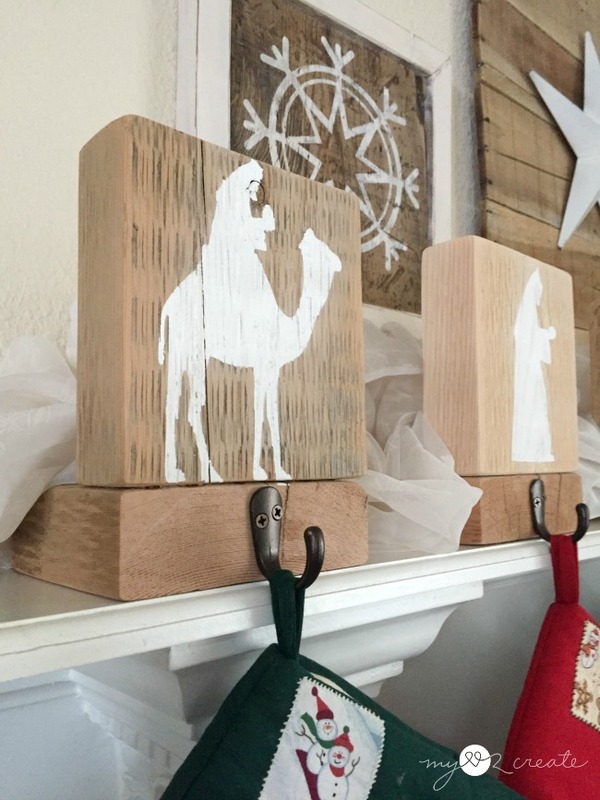 I asked him what I should put on the front of each holder and he suggested doing a nativity scene. I loved his idea, so I ran with it, and I am super happy with how they turned out! 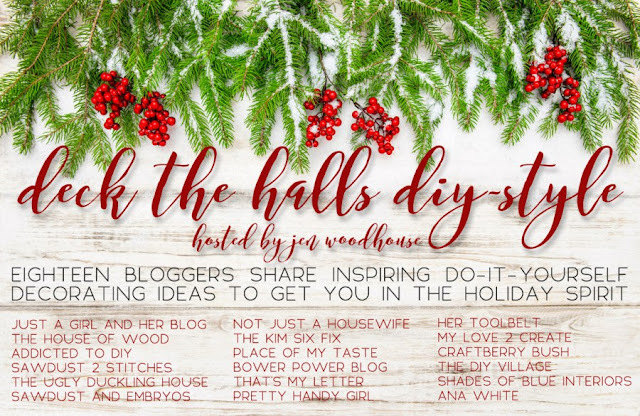 Not only will I share with you this simple DIY tutorial, but I am also participating in a fun deck the halls diy-style blog hop, hosted by the wonderful Jen Woodhouse! 12/18 – My Love 2 Create- You are Here! 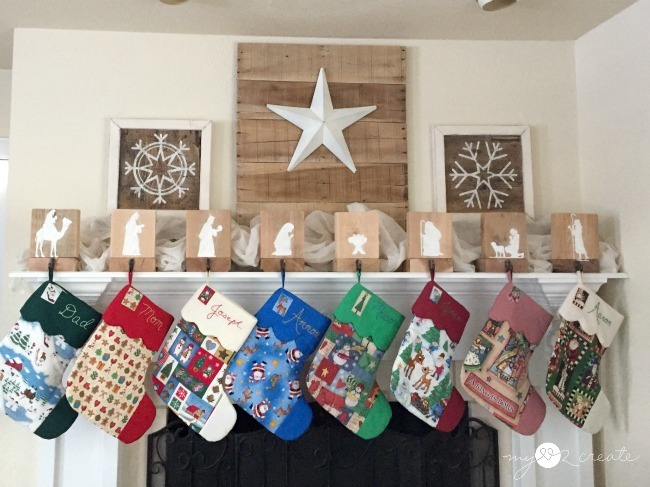 Be sure to check out everyone's beautiful and festive projects! So much awesome inspiration! 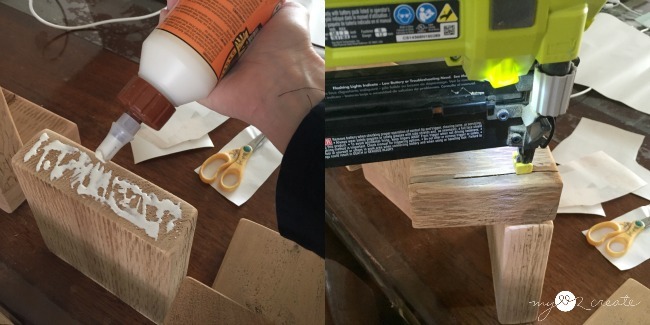 With your boards cut and sanded all you have to do is glue and screw them together from the bottom, make sure pre-drill holes with a countersink bit. 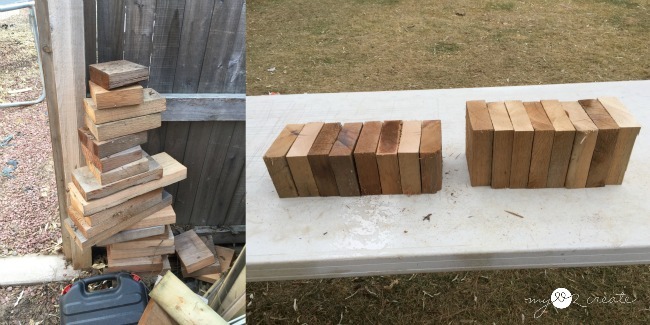 I decided to glue and nail my boards together first and then attach them with screws, it made it really easy to screw them in after they were already secured with nails. Then, load and unload my brush with paint (the less paint the better) then brush the paint on towards center. 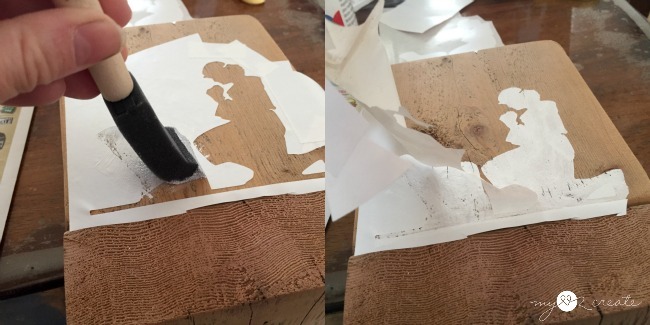 Last I peel off the stencil as soon as I finish painting before the paint dries. I attached the hooks and was done, super fast and easy! These could be customized any way you want! 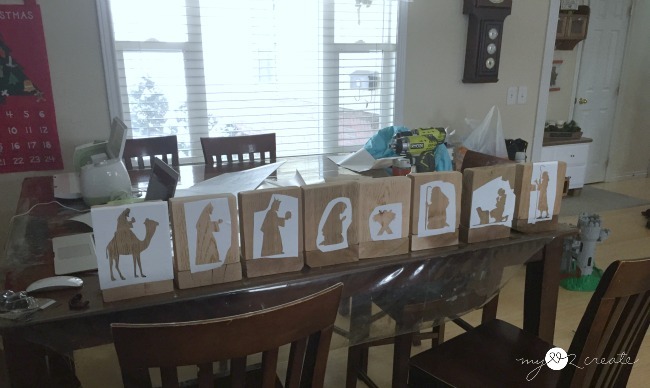 If you don't have 8 people you could do multiple nativity figures on each board, or do one huge board with hooks...so many possibilities! 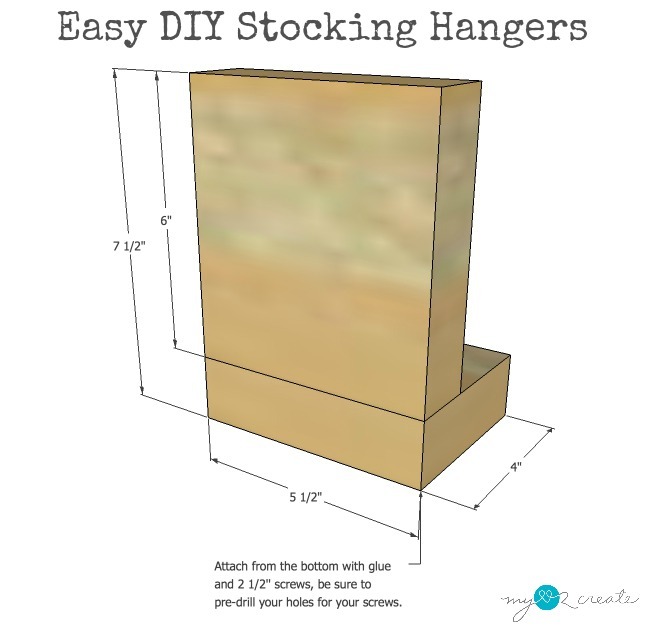 I love the natural rustic goodness of these stocking hangers. In fact I think when I do my mantle's I tend to go the neutral route because our stockings are so colorful. Simple yet powerful. A perfect reminder of the real meaning of Christmas. For the rest of the mantleI grabbed some old boards and a fabric curtain to cover them. 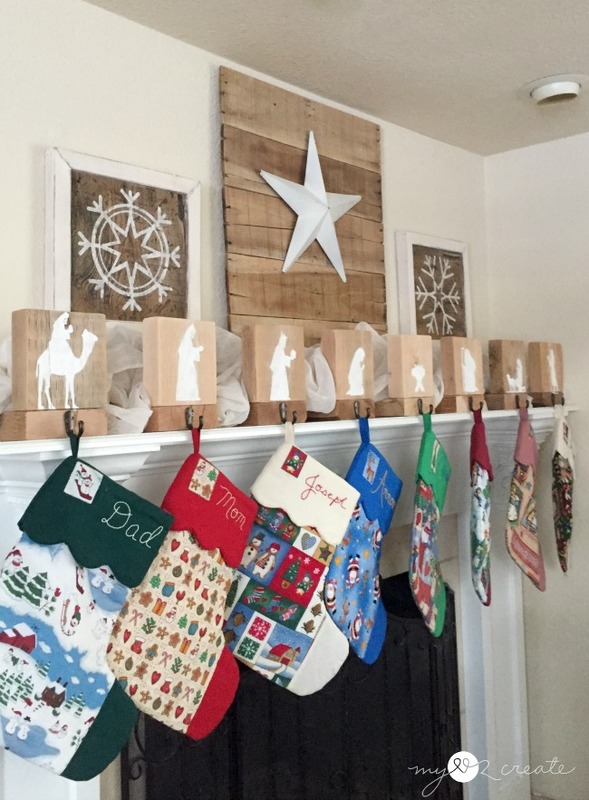 I set the planked wood and snowflake frames on top of the boards and I was done! 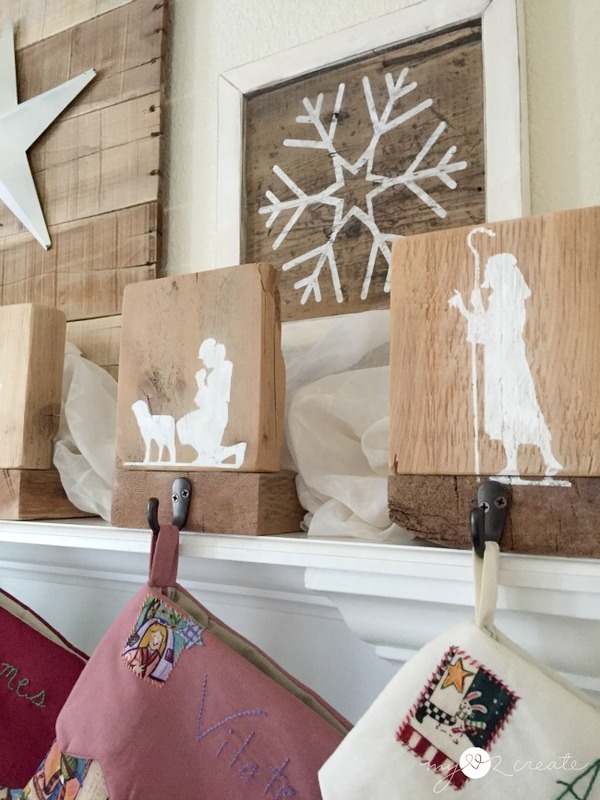 The pallet planked wood is from two years ago when I had my White and Natural Christmas Mantle, and made my Foam Core and Poster Board Marquee Angel. I used a white metal star to hang on my planked wood, and then I remembered this cool metal star I had picked up at the thrift store for $2! I threw it over the white star to see how it looked. Thank you so much for pinning! And don't forget to check out all the other bloggers too! Lovely hangers and I like the star within a star! Hope YOUR stocking is filled with fun things. 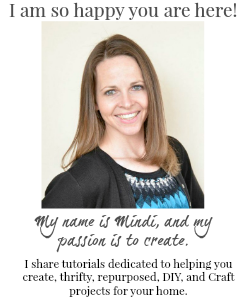 Your mantel is perfect Mindi! 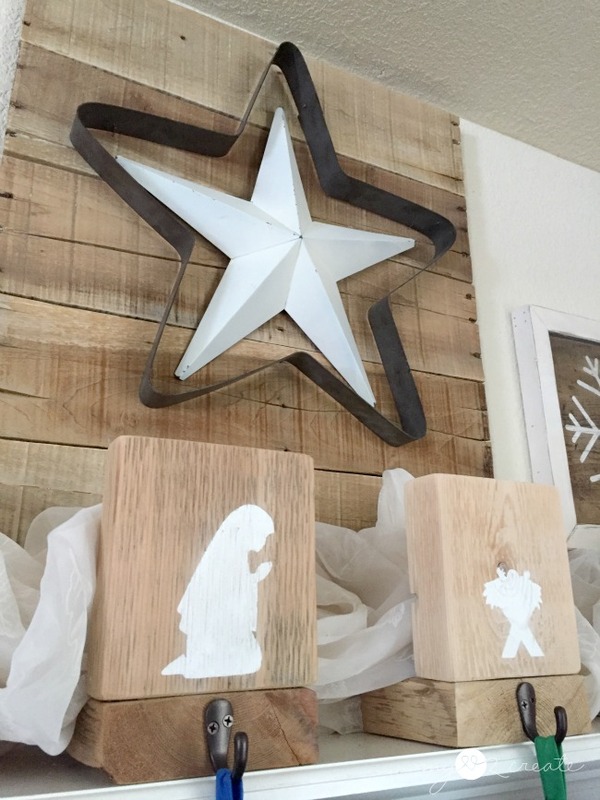 Love those nativity stocking holders and your pallet star snowflakes. Thank you so much for linking up to the Mad Skills Link Party. I will be featuring this tutorial in this month's newsletter! Your fireplace looks beautiful! Great job! 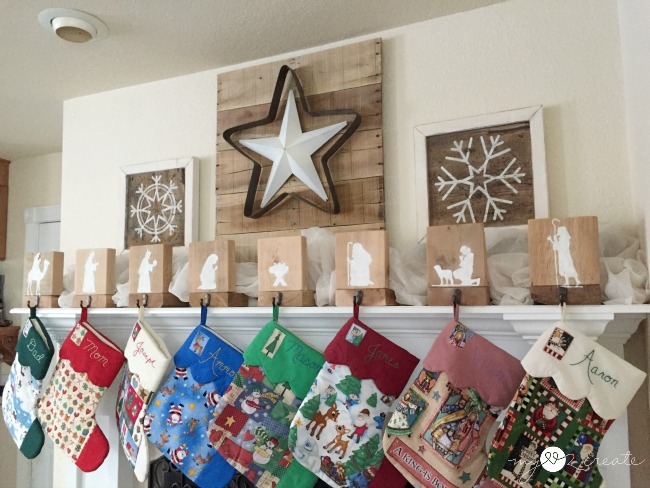 beautiful job Mindi on the nativity stocking hangers! They are gorgeous, and the mantel looks fabulous... those stars? who would have thought they would fit so perfectly!